Members - Executive Exchange Inc.
By-Laws Of Executive Exchange, Inc.
Villa Nova Financing Group, LLC is a full service mortgage broker with an established team of certified loan brokers. 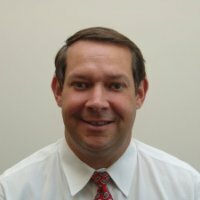 We build a unique client-lender relationship with you using a consultative, service-oriented approach in which we not only consider your financial history but also plan for your financial future. Leveraging a process that includes strategic debt analysis, we’ll create a roadmap designed to help you use lending solutions to achieve your financial objectives. Armed with this knowledge, we’ll construct a custom loan that addresses your needs and supports your goals. Because we thrive on collaboration, we’ll gladly dialogue with other financial professionals you may wish to consult the way to ensure your customized loan integrates seamlessly within your overall financial plan. Coffee Lovers Coffee Service provides complete breakroom services including: office coffee service, natural spring water service, vending service and more to the professional trade (offices, industry, manufacturing and restaurants/deli’s.) Coffee Lovers provides not just product but solutions to all of our client’s refreshment needs. We carry an extensive product line including coffee and allied coffee product, refreshments & snacks, paper products and kitchen supplies. We remain family owned & have been providing services to the northern & central New Jersey business community for 47 years. My goal is to manage the home buying or selling process according to your individual requirements. This involvement includes creating a marketing program unique to your property to attain the best price in the shortest amount of time. It also includes overseeing the numerous details that are part of the selling or buying process. I am your business partner throughout the entire transaction process, devoting my energy to your unique needs and concerns. I strive to serve your best interests whether a buyer or seller. A small business with local roots, KB Electric focuses on residential and commercial work. 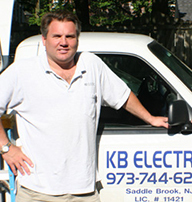 Keith Ballentine started KB in 1992 after working for a local electrician and the Local 102 Electricians Union. 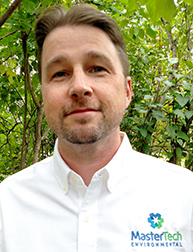 Today, Keith and his top-notch staff focus on doing the best job possible for their clients. They tackle big jobs, such as installing generator and replacing knob and tube wiring. They also work on simple jobs such as putting up new lighting fixtures, adding programmable thermostats, fixing doorbells and installing ceiling fans. For a complimentary initial consultation, contact Keith at kbelectric123@gmail.com. Book Auto Leasing & Rental is a full service leasing company specializing in long term leases of all makes and models of both new and used cars and trucks. Book Auto leasing also has a large selection of daily rental cars and vans seating up to 15 passengers. In addition Book Auto Leasing is a Budget truck dealer renting trucks from a cargo van up to trucks 24 feet with power lift gates for local and one-way rentals. In business since 1983, Electronic Office Systems (EOS) is dedicated to serving the office automation requirements of all businesses in middle & northern New Jersey, NYC, as well as Orange and Rockland Counties New York. With over 35 employees & over 7.5 million in annual sales, EOS is the largest and fastest growing successful dealership in the state. Recently listed as being in the top 1% of all dealers across the country with an account base of over 4,000 satisfied clients and growing, EOS takes great pride in our philosophy of providing the highest quality service & support for the most productive, reliable, state-of-the-art business equipment on the market. EOS offers commercial/office grade multifunctional digital laser copiers both black & white & color, laser printers, fax machines, scanners, & wide-format blue print copiers. EOS is a manufacturer authorized dealer of sales & service for: Ricoh, Savin, Kyocera/Mita, Hewlett Packard, Okidata, Kip, Canon, Xerox & Muratec equipment & can also provide both OEM & generic supplies for these & other brands as well. EOS wants to be your one source for “New Ideas & New Solutions” for your office equipment needs! Riverside Graphics is a printing industry leader with more than 25 years of experience. We specialize in all things printing. Our completely modern facility includes pre-press, printing, bindery, mailing services and warehousing. No job is too large or too small. Our skilled technicians are here to help you throughout the duration of your project, and our range of services include budget planning, design and print consultation, mailing and list management, inventory and fulfillment services. Our experience can provide your company with a quality product on time. We stand behind everything we do. Quality pre-owned and new office furniture. Experts in space planning and workstation configurations. 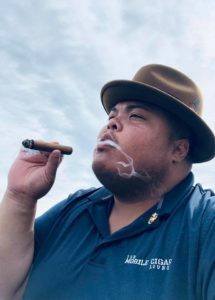 The Mobile Cigar Lounge brings the cigar experience to your next wedding, local festival, and private events. Our hand selected cigar menu will bring out the cigar aficionado out of anyone. From casual smokers to experienced ones, our cigars will create an everlasting memory. We have a 1973 Excella 500 Airstream which was converted into a mobile cigar lounge to bring to your party. Also, we have a cigar bar that we can set up to entertain you and your guests. Contact us on how to elevate your next event with the world’s premium cigars! Action Limo provides stretch limos, town cars, Excalibur’s, Rolls Royce’s, party buses, & vans. We can drive for weddings, New York City , airports or we can drive you to Florida or maybe just to your local doctor. We drive 24 hours a day, seven days a week, including holidays. Reservations must be made at least 2 days in advance during business hours, 8 AM to 10 PM. Visit www.morganstanley.com for more information. Creative Solutions offers an enormous array of branded promotional products that go WAY beyond pens and key chains—and that deliver maximum return on your marketing budget. We work with you to design innovative giveaways—customized to your specific business or industry—to develop client loyalty, brand recognition, and new customers. Choose from thousands of items from the traditional to the trendy, designed to promote your business with flair. All are available for custom engraving, screen printing, or embroidering with your company name and logo. TAG Online is a full service web company – your one stop shop for all your website needs. We provide hosting, dedicated servers, co-location, web design and web programming. We can provide your website with a blog, an email newsletter, E-commerce, an Intranet, or any type of custom solution. Our hosting facility is environmentally controlled with its own back up generator and redundant connections to the Internet. With our hosting, we provide back up/restore, online tracking and an easy to use tool where you can make your own changes to your website. Our customer support is impeccable – our clients are our most valued asset. Celebrating our 25th year in business, A. C. Daughty, Inc. specializes in the custom design and installation of commercial and residential security and fire alarm systesm. We are a Certified Commercial Security Dealer for Honeywell and Notifier and can provide integrated camera and access solutions for your business and home with remote viewing of your camera surveillance system from anywhere in the world. We also provide a UL approved central station monitoring facility and technicians on call 24/7. A complete landscape company providing professional services in the following: landscape design and consulting. Landscape installations with various types of retaining walls brick paver patios and walks. Residential commercial and industrial property maintenance and lawn & garden chemical programs (pesticide license #97062a). Mastertech Environmental specializes in mold inspections/testing and mold remediations to residential and commercial clients in all of Northern New Jersey. Mastertech’s technicians are nationally certified, rigorously trained, fully insured and are just all-around good guys. In addition to industry leading mold cleanup, Mastertech Environmental performs flood mitigation and dry-outs, bio/trauma scene cleanup and hoarding cleanup. We offer 24 hour emergency service and our mold remediations carry a 5 year warranty. We spend a lot of time in attics, basements, crawlspaces and bathrooms - we like it that way. When the unexpected happens, you can trust the experts at Mastertech. Heuer & Company is a third generation commercial contracting and construction company. We offer General Contracting and Construction Management services for commercial and medical offices, retail and educational facilities, warehouses and sports clubs. We provide exceptional value by delivering professional and intelligent service. Advantage Marketing Consulting Services LLC works with technology and professional service firms that lack focus in their marketing and are struggling to reach their target markets. Whether it’s a social media strategy for a management consulting services firm or a marketing plan rollout for an IT risk management firm, we offer our clients creative and practical marketing solutions that build awareness, attract prospects and turn them into customers. Read our blog www.Advantage-Marketingblog.com and contact us for a free assessment of your current marketing programs. 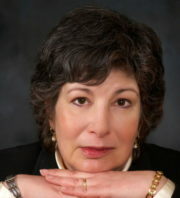 Loraine is co-author of the book RESULTS! Impactful Solutions to Drive Business, which is available at Amazon.com. Seniors In Place LLC provides care in private homes, independent living, 55 and up communities, assisted living, rehabilitation centers and hospitals. We provide services for seniors who just need a little help around the house, to those who need nurse supervised, personal care. Help is available anytime, 24 hours a day, 7 days a week, hourly or live-in. Mia knows firsthand how challenging it can be to care for our parents, grandparents, and anyone we hold dear. She fully understands the difficulties associated with finding honest, trustworthy, and reliable care. Mia puts her whole heart into her work, she genuinely loves waking up every day and helping others. Title Masters LLC is a Title Agency located in Westfield NJ, offering Title Insurance Services to the Commercial and Residential Community. Title Masters is an agency reaching for Attorneys, Lenders, Realtors, and Developers looking to regain confidence and balance in a changing industry. Whether you are an attorney, a lender or consumer, unexpected delays at closing are inconvenient and frustrating. When you choose Title Masters you can be assured the Title work will be processed correctly and as quickly as possible. The key is in coordinating and maintaining in sync all our efforts in the interest of the consumer. Long Shot Productions, LLC is a full-service video and television production company based out of Fairfield, New Jersey. We specialize in all types of production, including corporate, marketing, training, documentary, event and social media video. Our 1,000-square foot studio space and editing suites are equipped with the latest state-of-the-art technology. We work with clients on every aspect of their vision, from initial planning to the finished product. Our mission is to create a high impact result that lets you and your brand shine! Joe D‘s Appliances is a family owned and operated full service home appliance company servicing contractors, property managers, designers, and retail customers directly. As a member of the nation’s largest independent appliance buying co-op, our purchasing power allows us to offer an outstanding selection of brands at competitive prices. Based in Nashville, Tennessee, i3 Verticals, LLC is a technology and integrated payments provider for a range of industry verticals throughout the United States. i3 Verticals intends to make additional acquisitions and become a leader in distinct, growing verticals by helping customers improve their operating efficiencies, enhance revenues, and streamline their payment processing functions. 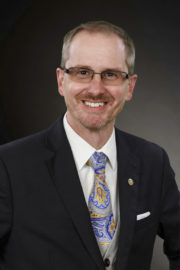 Jason A. Meisner, Esq. 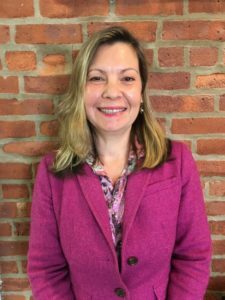 is a Partner of the law firm of Coughlin Duffy LLP, located in Morristown, New Jersey, and the Practice Group Leader of the Firm’s Commercial Services Group. Mr. Meisner’s practice concentrates in business counseling and litigation representing clients from startup sole proprietorships to large corporations. Mr. Meisner was elected in 2012 by the New Jersey Law Journal as one of its “New Leaders of the Bar”, and one of New Jersey Rising Stars from 2010 through 2015. 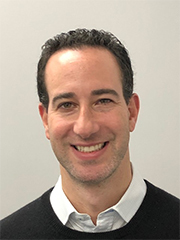 Using skills learned through a diverse legal background, Mr. Meisner has focused on guiding businesses through operational, legal and practical difficulties using creative solutions to avoid risk and achieve objectives in the most cost effective means possible. 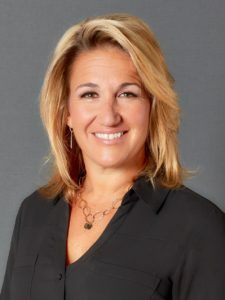 Altice Media Solutions/News 12 Networks provides advertising and sponsorship opportunities through Cablevision Advertising Sales, representing 3 million homes in 30 cable systems in New York, New Jersey and Connecticut. We also handle local commercial advertising for News 12 regional networks, and Advanced Platform interactive advertising. Visit www.cvadsales.com for more information. At Jim O’Brien Architects we work to improve our clients’ well-being through design excellence, sensitive client service, and a strong sense of local responsibility. Our projects encompass a diverse mix of commercial and residential developments. We serve private, non-profit, and institutional clients by following these simple principles: we truly listen to our clients, and we closely manage an interactive design and construction process. We believe variety is the spice of life and were always looking for the perfect dessert when gathering with family and friends. After much experimentation and taste-testing, we created Stacks. By stacking 3 distinct flavors, we handcraft each petite creation so our customers can enjoy more variety with less guilt. We welcome custom orders including flavors, packaging or colors to coordinate with your event theme, logo or corporate gifting requirements. See website for menu and seasonal offerings. 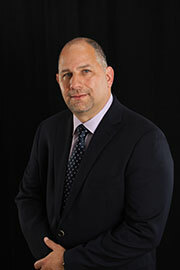 Michael R. Pallarino specializes in Family Law. 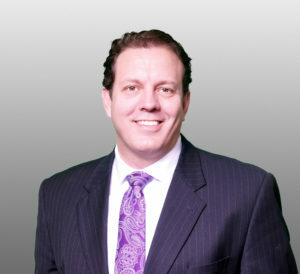 His practice includes litigation of issues related to divorce, child custody, alimony, child support, property distribution, domestic violence and adoption. 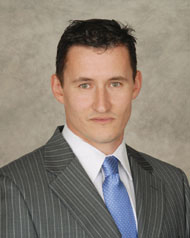 Mr. Pallarino represents clients in the trial court and on appeals. His practice includes the negotiation and preparation of Property Settlement and Support Agreements and Pre-Nuptial Agreements. 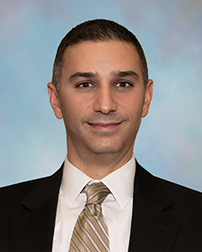 Mr. Pallarino is on the roster of economic mediators for the Superior Court of New Jersey and mediates all family law related issues. Nomad is a mobile vehicle maintenance service that brings oil changes to drivers at work and at home. Nomad’s mission is to free vehicle owners from taking their cars to the shop for maintenance, so they can spend their time doing what’s most important. That means more time at home for families, more time at work for employees, and more time on the road for fleets. Nomad is based in Montclair, NJ, and serves all of Northern NJ (focusing on Bergen, Passaic, Hudson, Essex, and Morris Counties). Nationwide Floor & Window Coverings is a mobile, shop-at-home business. We come to your home or office at a time that is convenient for you, measure your floors and windows, bring a complete selection of name-brand samples for you to choose from, and arrange professional installation. Special financing programs are available. We serve both residential and commercial clients. Public Accounting Firm, Accounting, Tax, bookkeeeping, Business Consultant. BDE Computer Services is a Managed Services Provider that Manages your companies Technology so that you can manage your business. There are 4 main areas of business that BDE Computer Services works on. 4) LumaNext Low Voltage DC Lighting Eco System. (Our lighting systems are for warehouses, office buildings and box retail stores and the entire system is low voltage DC powered vs. higher voltage AC power which is traditionally how lighting has been powered….bottom line is that it pays you back for replacing your lighting….over and over again. KRA Insurance Agency is a muIt- insurance line, full service insurance and financial planning service organization, located in 1950 in Springfield, New Jersey, KRA is organized into departments, each managed by a principal of the firm and staffed to service the needs of a large, diversified clientele. These departments consist of Personal and Commercial lines. Specializing in Commercial deposits and lending relationships. Providing world class service and banking technology to all we serve. “The Better Place to Be” for our customers, our communities, our employees and our shareholders.